My unique home selling system was developed to provide my clients with a proven method to sell their home! We start things off with a Listing Consultation, where we discover your goals, tour your home and discuss our marketing plan. From there, you decide how you want to proceed, and we can move on to our main sales process, outlined below. Lots of people want to buy your home. The right asking price will attract attention and your maximum return. Research shows that overpriced homes take longer to sell so it is crucial that your initial price reflects the most current market conditions. With my help we will set a fair market value on your home to get the most out of interested buyers. I know the current factors affecting the real estate market and that will help determine the optimal list price. The old saying goes! You never get a second chance to make a first impression! It’s time to give your home a mini makeover. We walk through your home together to help you identify and prioritize home repairs and improvements that provide the best return on your investment. My experience with home building and interior design will help identify which home improvements will get the attention of potential buyers to make your home stand out. We will connect you with reputable contractors who can get the job done, and if necessary, home stagers to make every room look its best. Most agents are great salespeople, but few are proficient at advertising. My extensive background in sales and marketing together with my professional home marketing plan, provides a proven method to promote your listing. 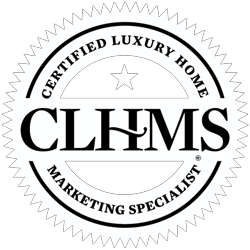 I will identify your target buyer profile and implement a tailored home marketing package designed to reach them. My marketing campaign is executed through mass online, social media, email, direct mail, print marketing, REMAX Tour and open house(s), all designed to reach potential buyers to sell your home quickly and for top dollar. While your home is on the market I provide you with regular status reports, feedback from your showings, marketing activities and any recommended course adjustments.Despite leaps in technology, the "For Sale" sign continues to be an extremely effective way to advertise. Anybody responding to your sign is a solid lead because they’ve seen your home with their own eyes - they are pre-qualified. Successfully negotiating a real estate contract is more of an art than a science. When you receive an offer, or multiple offers, having an agent like me, with a proven track record and Win/Win negotiating style together can make a huge impact on your final sales price. Rather than approaching negotiations from an adversarial winner-take-all perspective, I will focus on your top priorities and strive to keep emotions from running over that may prevent us from achieving the successful outcome of selling your home. Once your home receives an offer, I use the REMAX Transaction Management System to keep tabs on all deadlines to make sure the buyers follow their contractual obligations to a smooth closing.